Co-Telsart is a combination of two active substances, telmisartan and hydrochlorothiazide in one tablet. Both of these substances help to control high blood pressure. Telmisartan belongs to a group of medicines called angiotensin II receptor antagonists. Angiotensin-II is a substance produced in your body which causes your blood vessels to narrow thus increasing your blood pressure. Telmisartan blocks the effect of angiotensin II so that the blood vessels relax, and your blood pressure is lowered. Hydrochlorothiazide belongs to a group of medicines called thiazide diuretics, which cause your urine output to increase, leading to a lowering of your blood pressure. Co-Telsart fixed dose combination (40 mg telmisartan/12.5 mg hydrochlorothiazide, 80 mg telmisartan/12.5 mg hydrochlorothiazide and 80 mg telmisartan/25 mg hydrochlorothiazide) is indicated in adults whose blood pressure is not adequately controlled on telmisartan alone. Cordacare Plus is used to treat high blood pressure. Cordacare Plus tablet contains lisinopril and hydrochlorothiazide. Lisinopril belongs to the group of drugs called angiotensin converting enzyme inhibitors (ACE inhibitors). These medicines work by helping to widen your blood vessels to make it easier for your heart to pump blood through them to all parts of your body. Hydrochlorothiazide belongs to the group of drugs called diuretics (water tablets). These medicines increase the amount of water you lose in your urine and therefore reduce the amount of fluid in your blood vessels. Lisinopril and hydrochlorothiazide work together by lowering your blood pressure. Cordacare Plus fixed dose combination (10 mg or 20 mg lisinopril and 12.5 mg hydrochlorothiazide) is indicated in adults whose blood pressure is not adequately controlled on lisinopril alone (or hydrochlorothiazide alone). 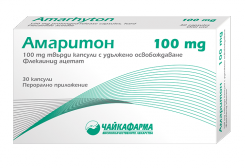 Amarhyton belongs to the group of medicines that work against cardiac arrhythmia (known as anti-arrhythmics). It inhibits stimulus conduction in the heart and extends the time during which the heart is at rest, causing the heart to pump normally again. Treatment of AV nodal reciprocating tachycardia; arrhythmias associated with Wolff-Parkinson-White Syndrome and similar conditions with accessory pathways, when other treatment has been ineffective. Treatment of severe symptomatic and life-threatening paroxysmal ventricular arrhythmia which has failed to respond to other forms of therapy or where other treatments have not been tolerated. Treatment of paroxysmal atrial arrhythmias (atrial fibrillation, atrial flutter and atrial tachycardia) in patients with disabling symptoms after conversion provided that there is definite need for treatment on the basis of severity of clinical symptoms, when other treatment has been ineffective. Structural heart disease and/or impaired left ventricular function should be excluded because of the increased risk for pro-arrhythmic effects. Pizona contains pioglitazone. It is an anti-diabetic medicine used to treat type 2 (non-insulin dependent) diabetes mellitus in adults. This is the diabetes that usually develops in adulthood. Pizona helps control the level of sugar in your blood when you have type 2 diabetes by helping your body make better use of the insulin it produces. Your doctor will check whether Pizona is working 3 to 6 months after you start taking it. Pizona may be used on its own or may be added to other therapies (such as metformin, sulphonylurea or insulin) which have failed to provide sufficient control of blood sugar. - a sulphonylurea, only in adult patients who show intolerance to metformin or for whom metformin is contraindicated, with insufficient glycaemic control despite maximal tolerated dose of monotherapy with a sulphonylurea. - metformin and a sulphonylurea, in adult patients (particularly overweight patients) with insufficient glycaemic control despite dual oral therapy. Pioglitazone is also indicated for combination with insulin in type 2 diabetes mellitus adult patients with insufficient glycaemic control on insulin for whom metformin is inappropriate because of contraindications or intolerance (see section 4.4). After initiation of therapy with pioglitazone, patients should be reviewed after 3 to 6 months to assess adequacy of response to treatment (e.g. reduction in HbA1c). In patients who fail to show an adequate response, pioglitazone should be discontinued. In light of potential risks with prolonged therapy, prescribers should confirm at subsequent routine reviews that the benefit of pioglitazone is maintained (see section 4.4).